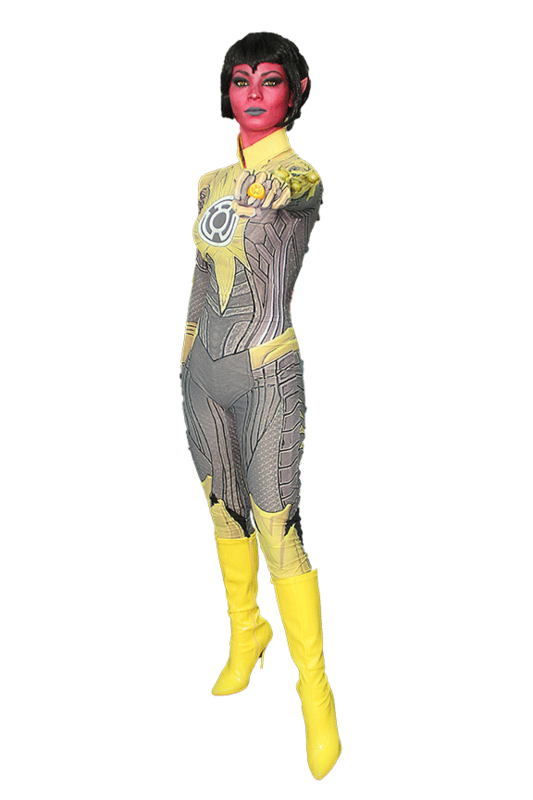 Ever wonder what it takes to get started making quality masks for costumes and cosplays? The first place to start is finding the best mask making materials to accomplish the look and feel you are shooting for. We interviewed three excellent cosplay mask makers and asked for their insight on the best mask making materials. Mad Masks and Foxlore Creations are all about leather while SoulMasks combines a plethora of materials to produce her unique masks. Read on to learn more! 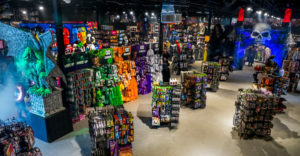 What are the best mask making materials according to the experts? First up Mad Masks weighs in on their favorite mask making material. Headwink: What materials do use to make your awesome masks? Mad Masks: 100% premium-quality vegetable-tanned leather and water-based acrylics. Headwink: What makes these the best mask making materials? Mad Masks: Leather is easy and fun to work with. 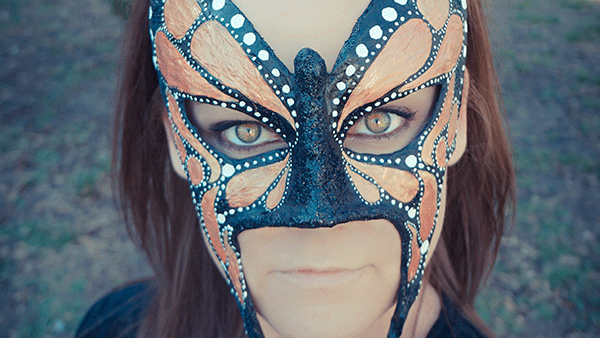 In terms of mask design and shape, you’re only limited by your creativity. Leather is pricier than materials like plastic and foam, but the quality and comfort are unparalleled. Water-based colors/sealants are safe to handle and have against your skin. Headwink: Can you give our readers some tips for working with leather? Mad Masks: Practice, practice, practice! Your first leather mask will not be perfect. Don’t give up! Use professional leather crafting tools like shears, burnisher, groover, creaser, etc. Watch leather mask-making videos, but don’t be afraid to experiment and develop your own unique style in time. There’s no “wrong” way to leather craft! Headwink: What’s next for Mad Masks? 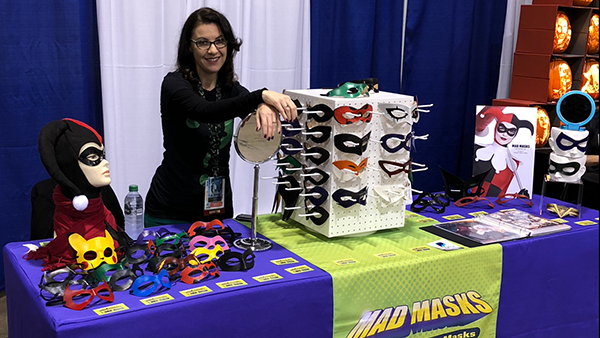 Mad Masks: We’re constantly making masks for upcoming conventions and to keep up with online orders. We also take commissions, which have turned into regular products due to popular demand. 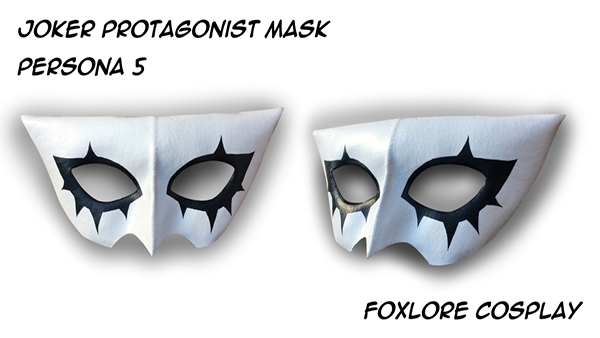 We’re currently working on expanding our Anime offerings, as well as masks for kids (aka: heroes in training)! Headwink: We love that you really listen to your following – we’re excited to see what’s next! Follow @mad_masks on Instagram and head over to the Headwink app to try their masks on yourself. Next, SoulMasks tells us about her mask making technique. 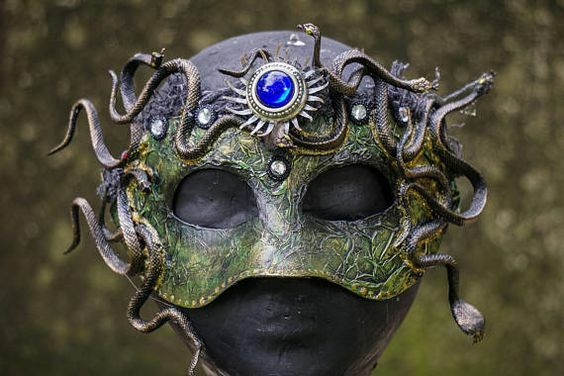 Headwink: What mask making materials do you currently use to create your unique masks? SoulMasks: I primarily use plaster cloth gauze for all my bases. Then I will use paper and glue for finer details. I have been trying to expand by incorporating different materials into my mask making like foam and cardboard. Headwink: What are the pros and cons of making masks this way? SoulMasks: When I first started making masks I used the traditional paper mache method we all learned in school. Then I played around with making paper pulp for awhile. I really like the texture it gives the end product but was time consuming to make and drying time took forever. Plus, I found I needed more support for the bases and something that dried quickly. Plaster cloth gauze became my new best friend. Its fast drying, strong and gave me the ability to try out new designs. The con- it’s extremely drying to my hands so I try to take a break from using it too much. I would wear gloves but for me I just can’t sculpt with them on. I love using paper and glue for the details and creating texture. Adding this additional process not only seals the base it helps give the rigidness of the plaster some flexibility. Not a whole lot but just enough to avoid cracking if they are slightly bent. The paper also allows me to create different texture for my masks which is one of my favorite processes. Foam, I haven’t worked with as much but I have used it some of my bases. The best thing is to experiment with all types of materials and see what works best for you. Headwink: Can you give our readers some tips? SoulMasks: When I first started making masks I never would have thought it would turn into a part time business. I really fell in love with the whole process and it gave me a creative outlet I was searching for. It took a long time and experimentation to find the materials that I felt most comfortable using. I would say try all different techniques, watch videos, use different materials and think outside the box. When I stopped comparing myself to others and just started making masks I liked is when I truly fell into my craft. Trust your instincts and just keep trying! It might take a couple failed attempts to get your vision but in the end it’s worth it. Headwink: What’s next for SoulMasks? Soul Masks: I started making headdresses last year so this year I would like to add more costume accessories. I am hoping to make some necklaces and armlets to compliment the masks and headdresses. So some more experimenting might be in the works. Hopefully in the end I can offer more complete costumes and continue to keep doing what I love. Headwink: We hope so too – can’t wait! Follow @SoulMasks on Instagram and Pinterest and try her on her masks yourself on the Headwink app here! 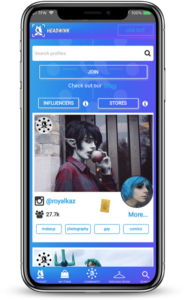 The Headwink Sponsorship Hub connects businesses with people interested in being social media influencers for promotions. Lastly, Foxlore Creations talks about his leather mask work. Headwink: What type of leather do you use for your masks? Foxlore Creations: I work with medium weight vegetable leather from Dangerous Threads. Once the mask is cut out, I use a dremel with leather tips and water to smooth out the surface and sides of the mask, and finally Tulip fabric paint to finish once the mask is shaped. Headwink: What are the pros and cons of working with leather? Pros – There is so much you can do with leather and heat. The material is forgiving and can stay in virtually any shape once you get the hang of it. Cons – Even high quality leather can vary in evenness per batch, so it’s important to make sure the pattern is placed on an even area. Overall it’s an easy mistake to avoid, but if you overlook it you can get a lumpy mask during the heating process. Headwink: Any tips to share? Foxlore Creations: In order to shape the leather you have to soak it for a few seconds in heated water. I’d say the most important thing is to test out what temperature works best with your leather. Too hot of water can cause your leather to burn and warp. 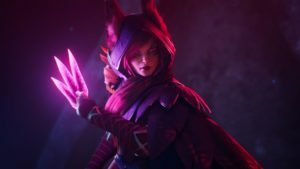 Headwink: What’s next for Foxlore Creations? Foxlore Creations: I’ve been moving into foam accessories and armor and have supplies to begin latex and prosthetic work. I’d love to get good at them to pair with the leather. Headwink: We’ll have to check back in for a follow-up article on latex and prosthetics! We want to hear your opinions on the best mask making materials! Tell us what you like to use in the comments below.